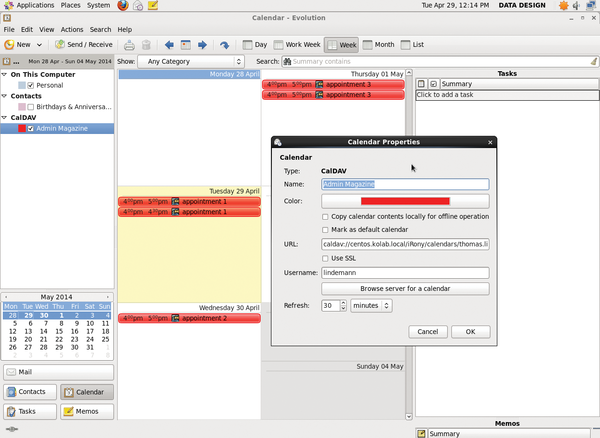 Evolution groupware client  (Figure 5), which is also popular with Gnome users, can initially connect seamlessly with Kolab and impresses with native support for both CalDAV and CardDAV. The problems come later. For Evolution, too, you always need to specify the complete URL when configuring the DAV services. The dialogs for this can be found in File | New | <Name of service> . For the calendar and tasks, you need to select CalDAV , and WebDAV for the address book. Note that, in the latter case, a bug in Evolution does not let you create contacts on CardDAV servers . Figure 5: Evolution works – with some restrictions: Creating contacts does not work, but the calendar does. All told, not so many developers seem to be working on the Gnome groupware anymore. The Windows-only eM Client  (Figure 6) shows that cleanly implemented web interfaces also exist in the Microsoft world. Autodiscovery works without ado; you just need to enter the Kolab URL during configuration. 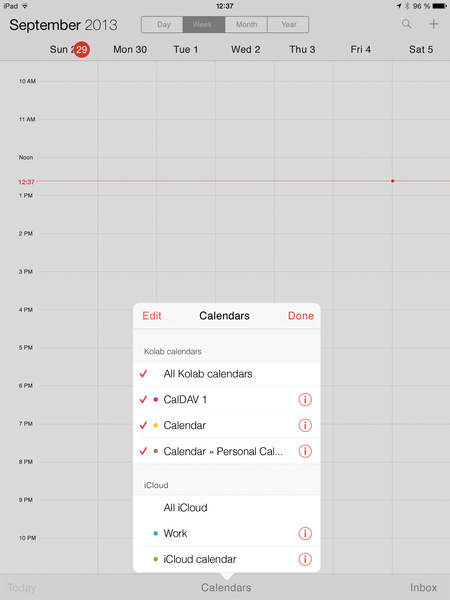 To do this, go to Tools | Accounts | Create an Account and create a Calendar/CalDAV account type. You then need to set the correct permissions for every user with Delegation in the context menu. Figure 6: The Windows eM Client tool provides the best connection to the CalDAV/CardDAV server. The client automatically lists all shared calendars. Tasks also appear without any further action, including tags defined and assigned in Kolab. Thunderbird or Evolution users would love this. To synchronize contacts, eM users create a separate account in the same way, but choose the Contacts/CardDAV option. The integrated error log proves very helpful by ensuring transparency if you need to troubleshoot a problem. Apple's mobile devices iPhone and iPad work extremely well with Kolab's iRony service (Figure 7). However, contact synchronization via CardDAV needs some special treatment: The iOS address book cannot cope with CardDAV not residing in the web server root directory. The Kolab team provides an example of a virtual host configuration that fixes the problem for Apple clients (Listing 4). Figure 7: The calendar on an iPad. iRony helps owners of Apple devices connect to Kolab the first time. In system settings below Mail, Contacts, Calendar , where you create a new account, you configure the device in the normal way. As the server address, enter the base URL of the Kolab server and, as for the other clients, specify the Kolab mail address as the username. Besides syncing the calendar and contacts, this also synchronizes tasks, which iOS manages in the Reminders app (Figure 8). 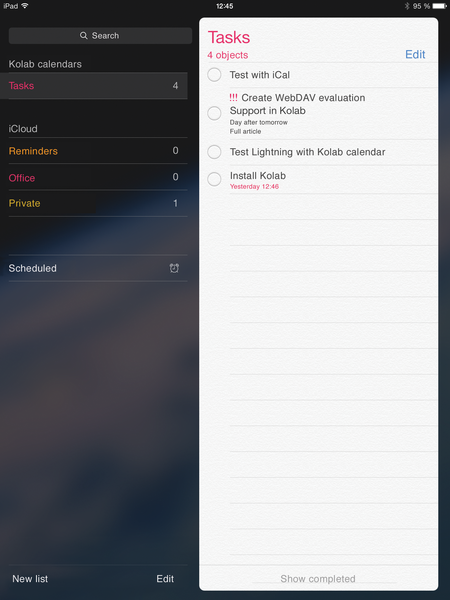 Figure 8: The iPhone Reminders app syncs all tasks with the Kolab server upon request. Microsoft Exchange and Lotus Notes hold onto the big chunks of the groupware market, and social networks are rushing to transform the space. All the same, free software provides an effective and inexpensive alternative.